collaborated with other bands and artists on one of their own albums. In fact, every single song on this album includes one or more artist collaborations. Of course the distinct Blues Traveler sound can be heard throughout Blow Up the Moon, but this is definitely different than anything they’ve done; and that’s what makes this album fantastic. With fourteen songs stretched across a vast field of many genres like rock, blues, reggae, pop and country, it is impossible for the listener to become bored. Often with albums, there are maybe three or four really great songs and the rest could be seen as “fillers”; not the case with Blow Up the Moon. There is such diversity that the only thing you want to do is put it on repeat and stir the melting pot again. Lending their talent on the album, you’ll find the likes of Hanson, 3OH!3, The Dirty Heads, Rome Ramirez (of 311), JC Chasez, Jewel, Traveler & Thompson, Bowling For Soup and Plain White T’s. With each collaboration, the artist/band leaves their mark so that combined with Blues Traveler’s unique sound, it hits all of the pleasure nerves on your musical pallet. Sure I could list tracks and their sounds, but I’d rather you discover them yourself. Take a listen to Blow Up the Moon. You’ll find that it will remain a constant on your playlist. Neil Young Hitting the Road This Summer! With supporting act Promise of the Real (featuring Willie Nelson’s sons Lukas and Micah), Neil Young will be embarking on a summer tour in support of his upcoming album, in which he collaborated with Promise of the Real, The Monsanto Years. The album takes on Monsanto, a chemical company known for genetically modifying seeds. The Monsanto Years is reported to be released on June 16th. In celebration of their newly released studio album Blow Up The Moon, Blues Traveler made a rare in-store appearance at Looney Tunes in West Babylon, NY on 4/15/15. Starting off with new tracks like “Castaway” and “Top of the World” and closing with classics like “Run Around” and “Hook”, Blues Traveler delivered a fantastic musical treat for all in attendance, providing a seamless performance which included almost super-human harmonica playing by frontman John Popper. Chan Kinchla (guitars), Tad Kinchla (bass), Ben Wilson (keyboards) and Brendan Hill (drums) make for the perfect compliment to Popper’s incomparable vocals. After the performance, Blues Traveler stayed to autograph merchandise and pose for photos with waiting fans. Every band member was incredibly gracious and personable to each person they greeted. Maybe every musician has a sizeable ego due to the profession but with the guys in Blues Traveler, there was none to be found. What you do notice is their humble demeanor and generous actions. Catch Blues Traveler on tour in support of Blow Up the Moon! Official tour dates can be found at www.bluestraveler.com. Sonic Sound would like to extend a big THANK YOU to Karl Groeger and his staff at Looney Tunes in West Babylon. Photos from the even can be found in our Gallery. After years of waiting the time has finally come, Incubus has announced they will be releasing two EP’s this year! The band recently made a record label change moving from their original label (Sony) to Island Records. The first EP will be hitting stores on May 12th and will be titled Trust Fall (Side A) and the second being released sometime this summer will be titled Trust Fall (Side B). The band sets us up with a title that leaves us with the feeling of spreading our arms out, and falling back trusting they will catch us with the sound that everybody knows and loves. Giving us two singles off the album sets us up for what is expected to be a most epic ride! The first single titled “Absolution Calling”, which the band has also released 2 videos for, both a lyric video and traditional music video. “Absolution Calling” takes us back to sound of classic Incubus with a new age twist and a big step away from their previous album, If Not Now… When? “Absolution Calling” from the start gets your foot tapping; Ben Kenney’s bass line gets you grooving and by the time Brandon starts the first verse, you will find yourself increasing the volume on whatever music medium you are currently using. The song is upbeat, raw, fun and showcases that the band can still rock. “Absolution Calling” is the perfect kick off to what feels to be the start of a great year of music for Incubus. 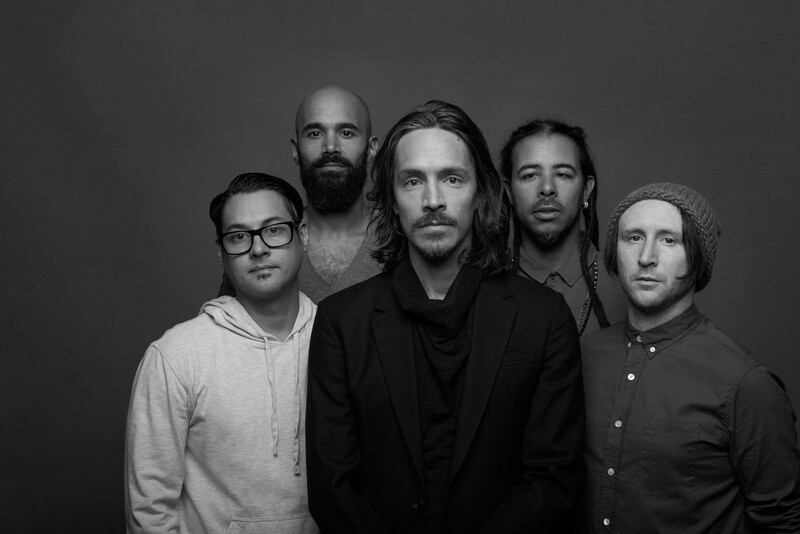 After “Absolution Calling”, Incubus decided to release a second single from the EP, the self-titled track “Trust Fall”. A rocker from the very beginning “Trust Fall”, like “Absolution Calling”, will satisfy the needed Incubus fix, until the release of Trust Fall (Side A). Over the Christmas holiday at the “KROQ Almost Acoustic Christmas” Incubus debuted this song to a sold out house and the reaction of which was nothing short of complete excitement from the crowd. Brandon Boyd’s lyrics will leave you thinking, as always, and Mike’s guitar will take you back to the older days of Incubus. As the anticipation for the release of the first EP grows, these 2 singles will act as a nice appetizer to hold you over until the main course. If you haven’t done so already check out these two singles, you will not be disappointed. Both tracks can be purchased through iTunes and while you’re there pre-order the album. Happy listening boys and girls! HBO Series Sonic Highways Out On DVD! 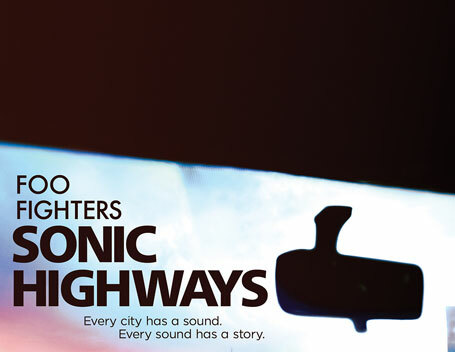 Sonic Highways, which made it’s series debut on HBO last October, is now available on DVD! The series, directed by Dave Grohl, follows the Foo Fighters as they travel to eight different cities, recording a song in each city to create the album of the same name. Foo gave an incredible look into different cities like Chicago, New York and Nashville, incorporating each city’s musical influence into a song. The show also proved to be a great forum to introduce the audience to music and artists they may not have otherwise gave attention to. Out Today: New Blues Traveler! 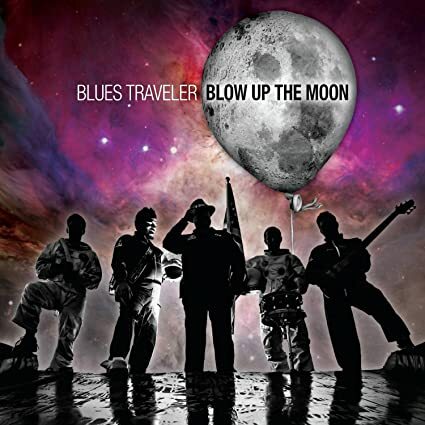 Blow Up the Moon is the twelfth studio album from Blues Traveler. Get your copy today! Record Store Day is April 18th!